Independent testing shows Maximin Macro has highly dispersible macro-mineral content compared with other products on the market. Providing macro-minerals with both immediate and controlled release means your herd receives the maximum benefit from their mineral nutrition supplement. Macro mineral mix – MaxiMin Macro is designed to supply key minerals in a rumen dispersible granule that will blend well with most on-farm feed supplements such as kibbled maize, crushed barley/wheat, PKE & maize silage. MaxiMin Macro has been developed as a convenient way to deliver key macro minerals and Optimate in a rumen dispersible granule. Maximin Macro can be used with most on-farm feed systems and can be blended with any supplementary feed. Maximin Macro can either be mixed on-farm or request your feed supplier to add it to your supplementary feeds. MaxiMin Macro contains Optimate, magnesium - as magnesium oxide and magnesium sulphate, as well as calcium - as calcium carbonate in ratios to meet most NZ dairy farm supplementary requirements – from post-calving (not pre-calving) and for the majority of the season. Calcium (Ca) and Magnesium (Mg) are both included in Maximin at a ratio of approx. 2:1 - to be used post calving* to supplement and top up your herds requirements. Mg is required for the production of hormones that are important for the absorption of Ca from the gut and the mobilisation of Ca from bones. Ca is an essential nutrient for peak optimum milk production, skeletal growth and muscle function and supplements low Ca feeds. Other minerals such as sodium can be added in a coarse form with Maximin at the point of use. * PLEASE NOTE - Do not feed MaxiMin before calving. Ensure MaxiMin is well blended throughout the ration before feeding. Seek advice before substantially altering ration feeding rates and take care when feeding adlib. 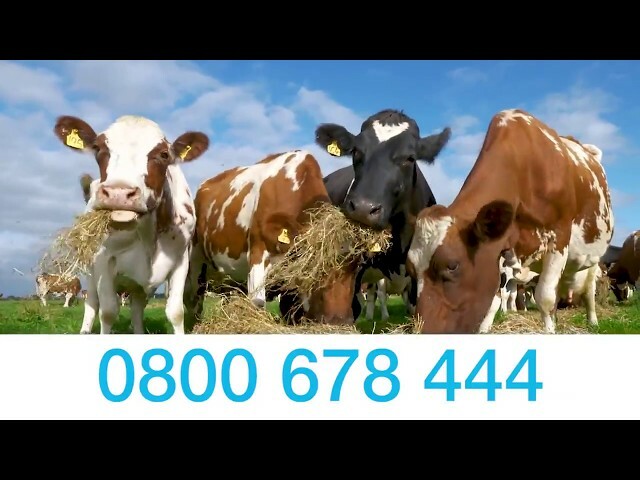 Optimate has been used as a feed additive for livestock for many decades to increase average daily gain and improve health of young stock, improve rumen function and nitrogen utilisation and help prevent metabolic disorders, such milk fever and ketosis. Ongoing research is showing that feeding cows Optimate can lower blood urea levels. This is a sign of improved protein-nitrogen utilisation in the rumen of the cow. dustless and does the job!" Fed at 200g/cow per day gives 60g zeolite, 13g Mg and 30g Ca. Ensure MaxiMin Macro is well blended throughout the ration before feeding. Seek advice before substantially altering ration feeding rates and take care when feeding ad-lib.